SUBHAM'S BLOG | This blog is all about Cricket. Here, you will get all the informations of the international cricket matches being played. Indian team has partially made their way to the semi-final stage after yet another disciplined all-round performance: this time against the defending champions. They are the team to beat in this world cup after back to back 7-wicket victories. There were many notable moments which had its viewers at the edge of their seats in an otherwise one sided match. Great Display of Swing bowling: – The 1st over of the West Indies inning brought back the memories of Dale Steyn bowling and convincingly beating Rohit Sharma. This time the bowler was Bhuvaneshwar Kumar and the batsman was Dwayne Smith. Kumar bowled perfect out swingers and beating the batsman on couple of occasions. He bowled five out swingers in a row and gave India the strong momentum. Keeping the run rate below 6, in the power play, against a West Indies side comprising hard hitters was a great achievement and Kumar was successful in it. Gayle storm faded away: – As Chris Gayle took strike before the last ball of Kumar, the crowd began cheering. The big man was dropped by Ashwin in the slips in the 2nd over, bowled by Shami. Gayle struck a magnificent six and classy four to extract 11 runs from the 4th over. Gayle storm had begun. MS Dhoni then brought in form Amit Mishra into the attack but he was clobbered for a six by none other than Gayle in the very first ball. The next ball was, shockingly, dropped by Yuvraj Singh. But the storm then faded away as no more boundaries were scored from the bat of Chris Gayle as he settled for ones. Ultimately he was shown the door in the worst possible manner- a run-out. Mishra’s Magic: – Amit Mishra is having an awesome time in Bangladesh as he bagged, deservingly, 2 back to back Man of the match awards. Mishra picked up the crucial wickets of Samuels and Bravo in consecutive balls to leave the West Indies reeling at 74/4. He did beat the batsmen on a no. of occasions and it was amazing to watch. Misses and drops: – Fielding is becoming more and more miserable for team India. First it was Ashwin who dropped a crucial catch of Chris Gayle in the slips. Then it was Yuvraj Singh who dropped a sitter. Really the old Yuvi is missing from the side. Mohammad Shami also messed up at the boundary lines and gave an uncertain boundary. Even in the Indian innings, Santokie misjudged the ball and allowed a boundary. Non-stop Virat Kohli: – Virat Kohli again looked sublime in his innings chasing a paltry target. He never looked in any problem and hit the occasional boundaries. He never allowed pressure to mount up as he always looked for singles and couples every ball- which was missing from the West Indies innings. The bowlers also helped Virat in making runs as they regularly bowled leg side deliveries, especially Santokie. A bad day for Yuvi: – Yuvraj Singh had a bad day at the office as he dropped an easy high catch and wasted the opportunity of hitting the winning runs. He failed to score a run in the 1st two balls of the last over and was unfortunately dismissed as Gayle grabbed a sharp catch. The World T20 was inaugurated in 2007, in South Africa, and since then 4 editions have been held but neither of those have the name “Australia” in the “champions’” category. That’s a bit harsh for the Australian cricket fans. The kangaroos have 4 world cups in their pocket and have once won the champions trophy. But the T20 world cup trophy remains the only one that the Australian players haven’t yet tasted. In the upcoming world T20 in Bangladesh, Australia will definitely look to create history and thus prove the world that they are the new champions in the shortest format. Out of the 4 editions held so far, 2 times they reached the semis and once in the final. They faltered at crucial moments which led to their elimination. The 2008 World T20 was the worst one for the Baggy Greens as they were shown the door in the 1st round itself. They lacked the team of youngsters, which India had in 2007, and failed in the department of hitting attacking shots. They had the hard hitting players in the form of Gilly, Symonds and Hayden but luck didn’t favor them. They failed to take some crucial moments which led to their downfall. Recently, the Australian team has got a whole new bunch of youngsters and will be willing to go for the kill in the upcoming world cup. I feel that this is their brightest chance to be crowned champions. The George Bailey-led-Aussie side has done well in this format in recent times. They are beaming with confidence after cleaning up England 3-0 in the previous series. Aaron Finch and David Warner hold the key at the top order. The former scored 156 against England, a year back, and will look to continue his good run in the shortest format. David Warner, on the other hand, is at the top of his game after his fine run in South Africa. He is much like Sehwag- if he gets going, nobody will be able to stop him! Shane Watson, George Bailey and Glenn Maxwell form the crucial middle order. Watson has been out of form but the selectors have shown trust in him. He has recently said, “we’ve got the most balanced side that I’ve ever been involved with and a balanced squad”. George Bailey has to lead from the front. He did well the last time he came in the subcontinent but he has to be consistent and continue his good form in the world cup. His captaincy will also be closely monitored by the selectors and so he has to prove his mettle by leading his team to a historic world cup victory. Glenn Maxwell, nicknamed as “Smackswell”, has performed brilliantly in the Big Bash League. He has the capability of changing the complexion of the game in quick time and has many innovative shots which are suited in T20 format. Not only he has the capability of striking the ball hard, but also he can hit boundaries whenever required. He is the player to watch out for the opposition. He is also a brilliant fielder and can save some important runs for the team on regular basis. Then comes the most valuable player Australia have- James Faulkner. Michael Clarke has called him the “new Michael Bevan”, after his Gabba heroics, and rightly so he is the best finisher in the squad. He has a good temperament can shift gears whenever the situation permits him to. The all rounder has played well recently and Australia will largely depend on him in the world cup. This is the best chance for Faulkner to increase his importance in the team. In the bowling department too, Faulkner can bowl some good Yorkers and short balls to force a dismissal. But this department will be spearheaded by Mitchell Johnson. Johnson is at the form of his life and can pose problems for the oppositions. Even in the subcontinent he can mesmerize the batsmen with furious pace. Brad Hogg has been always in the T20 squad and is the most experienced one in the team. He has bowled well consistently. His 4 overs are crucial for both Australia and the opponent team. So this team is very much a “balanced” one with everybody capable of doing well in his department. This is probably the best chance for the Kangaroos to make history and acclaim their maiden trophy. Note:- This article was originally posted here. 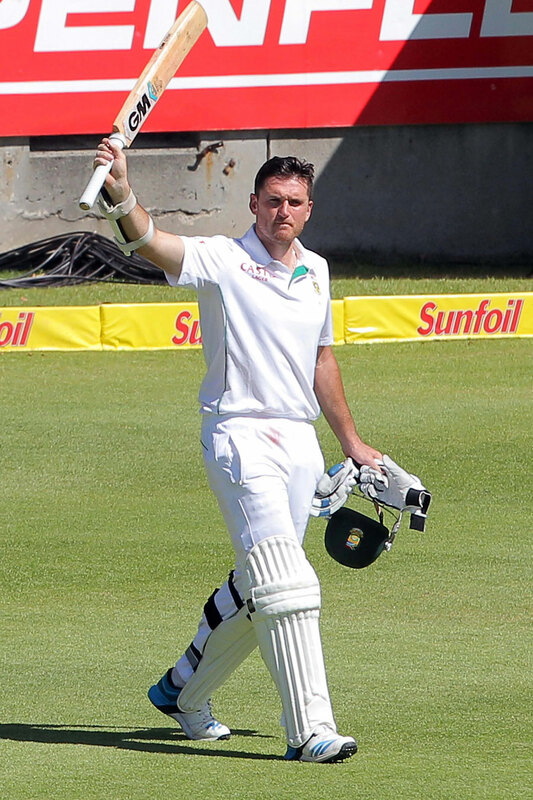 Graeme Smith after his dismissal in his final innings. Graeme Smith started his captaincy career when South Africa was under lots of pressure. Shaun Pollock had announced retirement from all forms of cricket after the debacle in 2003 world cup. As hosts, they were criticized for their underperformance. Smith’s selection as a captain was also becoming a lot of concern and the decision was opposed as there were many other experienced players in the form of Gary Kirsten and Herschelle Gibbs who could have given the chance of the leadership. But nobody knew that the following 10 years would be known in the cricket history as The Graeme Smith era. As a leader he not only lifted his team’s position in world cricket, but also changed South African cricket. The series in England, in 2003, brought a huge turning point in Smith’s career as he scored back to back double centuries in the 1st two test matches. His score of 277 and 257 led England selectors select a new captain in the form of Michael Vaughan after Nasser Hussain resigned from leadership. Smith opened the batting and led South Africa from the front from the word ‘go’. His captaincy came at a time when players like Pollock and Kirsten were retiring. In spite of that, he never lost hope and continued to lead the team in the best possible manner. If he wasn’t that effective with the bat, he showed great captaincy skills in the field and would, sometimes, spur the bowlers to attack the batsmen. His words were much effective and would bring a drastic change in his team when they were down and out in a series. He showed great capability of an opener as he anchored many run chases and played a ‘captain’s knock’. In Gary Kirsten’s last test, at Wellington, he scored an unbeaten 125 to chase down 234. In 2008, at WACA, Smith set up a great platform by scoring 108 in a historic run chase of 414. In a famous test at Cape Town, he led South Africa to a remarkable victory after being bowled out for just 96 runs in the 1st innings. His bowlers made a comeback and bowled Australia for, their lowest ever, 47 runs. Smith and Hashim Amla then scored centuries to take Africa home. South Africa hadn’t lost a test series before yesterday and that itself depicts the great and inspirational leadership of Graeme Smith. He contributed with the bat when required and brought the team to a comfortable position. He scored 234 in an innings victory against a good looking Pakistani side, in 2013, which helped them to level the series. Graeme Smith was given standing ovation at the Sydney Cricket Ground, when he came out to bat, with an injured hand, to try and save the test match. He was injured by Johnson in the 1st innings and came out to bat last in the 2nd. He faced 16 deliveries before being castled by the same bowler. South Africa lost that match but his effort was widely considered as one of the historic ones. Such captains really motivate the team in the best possible manner and Smith was successful in this. As he retires from cricket, South Africa will miss a leader of his capability and now it’s time for the younger players to continue Smith’s vigil and dominate world cricket for years to come. One of the most intense rivalry in world cricket will rejuvenate, in Mirpur, as India take on Pakistan in Asia Cup which is, ofcourse, going to be another high voltage match. They last met in the Champions Trophy, in England (2013), where the Indians produced a good all-round performance to convincingly beat the Pakistani side. But this will be all-together a different bat-ball game. Pakistan have a slight edge as they have won a match against Afghanistan and also earned a bonus point. They have previously defeated South Africa in their backyard and have also recently chased down an improbable target of over 300 runs in the last two sessions of the final day’s play against Sri Lanka. They lost their first match against Sri Lanka, much because of their fielding, but did show good character against Afghanistan. 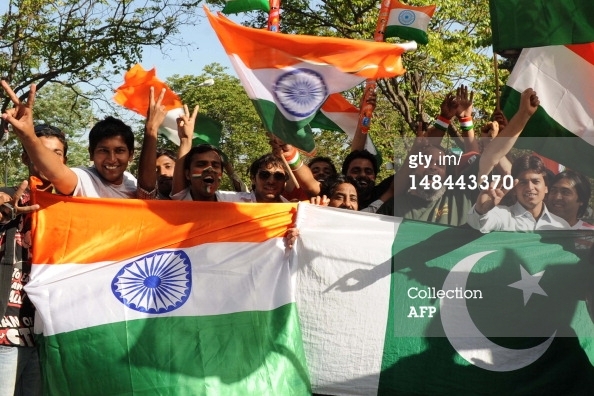 On the other hand, the young Indian side is experiencing some tough days of cricketing days. Since the ODI series in South Africa, India have won just one match and that too against the demoralized Bangladeshis. They have lost 6 matches, including matches in South Africa and New Zealand, and another one against Sri Lanka in Fatullah, just two days back. Barring Virat Kohli and Mohammad Shami, no one is looking perfect in the side. Shikar Dhawan’s 98 may well have brought confidence to him but some bad fielding and catching surely has demoralized him. Rohit Sharma is not capitalizing on his slow start. Pakistan bowlers would like to expose the new Indian middle order -comprising Ajinkya Rahane, Ambati Rayudu and Dinesh Karthik- as they have their weapons ready in the form of Umar Gul, Saeed Ajmal and Shahid Afridi. Indians don’t have MS Dhoni- the man who saved the middle order collapse many times- and instead they have a very inexperience looking batting side. What Indians don’t have, Pakistanis have. They have Misbah-ul-Haq, the captain, and Umar Akmal, who is looking in astounding form. Indian bowlers’ death bowling looked like being improved during their match against Bangladesh as Bhuvneshwar Kumar and Shami were bowling good yorkers. But with dew playing a good role, against Sri Lanka, their yorkers turned into full tosses as they were not being able to grip the ball properly. With Mirpur pitch said to be bowling friendly, Indian team should play a third genuine seamer in their line up. They can try with Ishwar Pandey as Varun Aaron bowled very wayward during their 1st match. On the whole, it’s going to be another exciting contest between these two nations as both teams would look to register a victory and target the final. This blog is all about Cricket. Here, you will get all the informations of the international cricket matches being played.